Morzine and the wider Portes du Soleil is a giant playground for snowboarders of all ages and abilities. Morzine’s neighbouring resort, Avoriaz, is widely regarded as the European capital of snowboarding. Morzine and the Portes du Soleil is a haven for freestyle snowboarding. The area hosts an incredible 11 snowparks, 4 boardercross, a permanent half pipe and the famous Burton Stash – not to mention excessive pistes and off piste areas. This all makes for a memorable snowboarding experience in Morzine Avoriaz. There are a massive 11 snowparks in the Portes du Soleil, with parks for all abilities. These feature different sized kickers, tables, boxes and rails for the very best snowboarding holiday in Morzine. The Burton Stash – The Stash is an all-natural snowpark and the first of its kind, with three routes of varying difficulty weaving their way through the Lindarets trees. The Stash was built by Morzine locals using natural terrain or wooden features which create a snowboard playground of immense fun with bags of different lines to be ridden. There’s also the Lil Stash for beginners, which runs alongside the Proclou piste. Snowpark de la Chapelle – The Chapelle park, situated at the top of Avoriaz under the top of the Proclou lift from Super Morzine, is the most popular snowpark around and the easiest to access from your Simply Morzine accommodation. Chapelle is well maintained with a pulsating atmosphere and caters for beginners through to advanced riders with a series of smaller green kickers, through to a black line. There’s also a rail section including flat boxes, kinked boxes and a series of rails. All of the lines are serviced by the park’s own drag lift. Snowpark d’Arare – The Arare snowpark, France’s first, was established here in 1993. This park sits above Morzine Avoriaz and tends to be home to sizeable red and black kickers. There’s often an airbag open, which makes for a safe and enjoyable environment to practice. The Boarder Cross d’Arare is an enjoyable access run into the park. The famous Superpipe sits lower down, above the Prodains Express. Spectating top riders on this pipe is an enjoyable part of a snowboarding holiday in Morzine. The Burton Kids Parkway – This is a small snowpark for beginner Morzine snowboarders. It is located in the Falaise area at the top of the Proclou run. Mont Chery Snowpark – The pistes of Mont Chery, close to Morzine, are always amazingly quiet and peaceful – and the same can be said of the snowpark. The park boasts beginner to intermediate level kickers and boxes and is a great place to practice snowboarding away from prying eyes of spectators. Chatel Smooth Park – The Smooth Park is a long, sequential snowboard park with features suitable for beginners through to advanced riders. The park is now more easily accessible from Morzine thanks to the Linga – Chatel ski link. There are kickers, step ups, boxes, rails and a challenging whale tail. The snowboard park is serviced by a dedicated drag and runs alongside a boardercross run. Les Crosets Superpark – The snowboard park in the Swiss resort of Les Crosets can be accessed by taking the aptly named Crosets chairlift. There are several lines through the park, with smaller kickers or a larger line. There is also a long boardercross run. 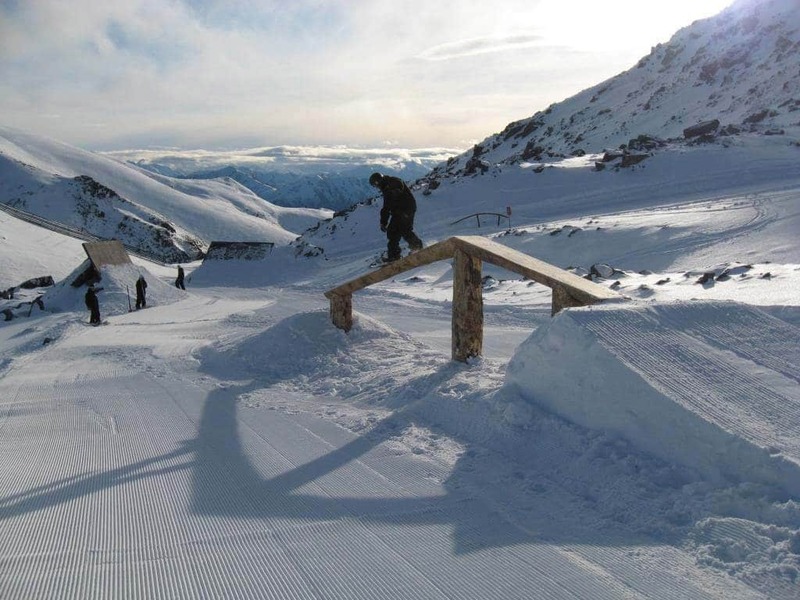 This park is often quiet and in the sun, so popular with more chilled snowboarders! There are several other snowparks and boardercross areas for snowboarding around Morzine and the Portes du Soleil. They are indicated by a picture of a snowboarder on a yellow background on the piste maps. There are several expert providers of snowboard lessons and equipment hire in Morzine. Visit Rue du Bourg in central Morzine for high-end snowboard shops and the Mint Snowboarding school office. "From start to finish our holiday was excellent. The transfer from the airport was friendly and helpful, the food, staff & chalet were superb. I would highly recommend Simply Morzine for large groups wanting great accommodation, food & service & plenty of good skiing. Thank you & see you again soon!"